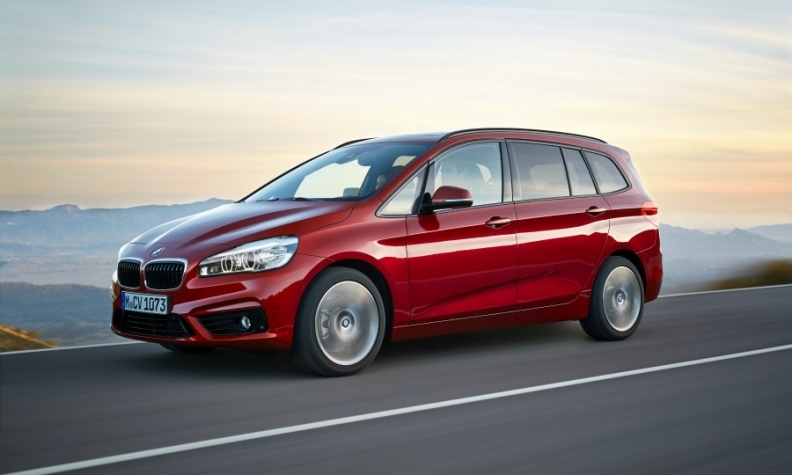 The 2-series Active Tourer is the first BMW-brand vehicle to use the group's front-wheel-drive UKL platform. BMW's decision to launch front-wheel-drive minivans outraged many brand purists, but the gamble seems to be paying off in terms of sales. The 2-series Active Tourer/Grand Tourer models were the third-best selling compact minivans in the EU and EFTA markets through September - beating mass-market rivals such as the Renault Scenic, Ford C-Max and premium rival Mercedes' B class (see table below). Only the Citroen C4 Picasso and VW Touran outsold the BMW models. The automaker also decided not to sell the cars in the key U.S. market, citing a weak demand for premium compact minivans. In Europe, the launch of the minivans has paid of in terms of unit sales and financially. The 2-series Active Tourer has the highest average price of any competitor in the segment at 35,688 euros ($40,000), according to JATO Dynamics's data for Europe's five biggest markets in the first half. Both the Active Tourer and the seven-seat Grand Tourer are built on BMW's UKL front-wheel-drive platform, which also underpins new Mini models. However demand for the models may now be peaking. Sales fell 7.1 percent in September, according to JATO global analyst Felipe Munoz. Munoz said competition from the latest VW Touran and a market shift to SUV/crossovers is hitting sales of the minivans. Renault's new-generation Scenic, which went on sale last month, likely will push the BMW minivans down the ranking.